I’ve been in a lot. Working on one project or another since last October and trying to make the most of my time I hadn’t taken the camera out for a long time. 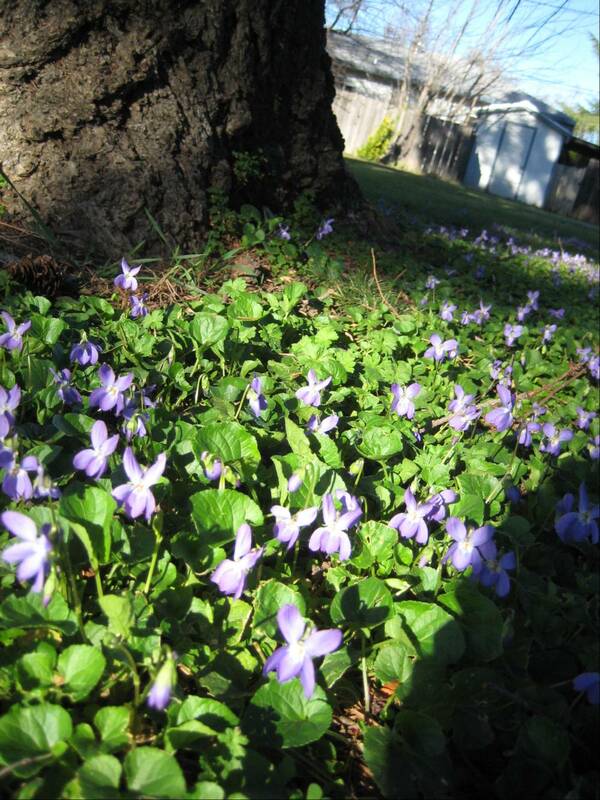 A large patch of little purple flowers have sprung up on the east side of the big pine tree. 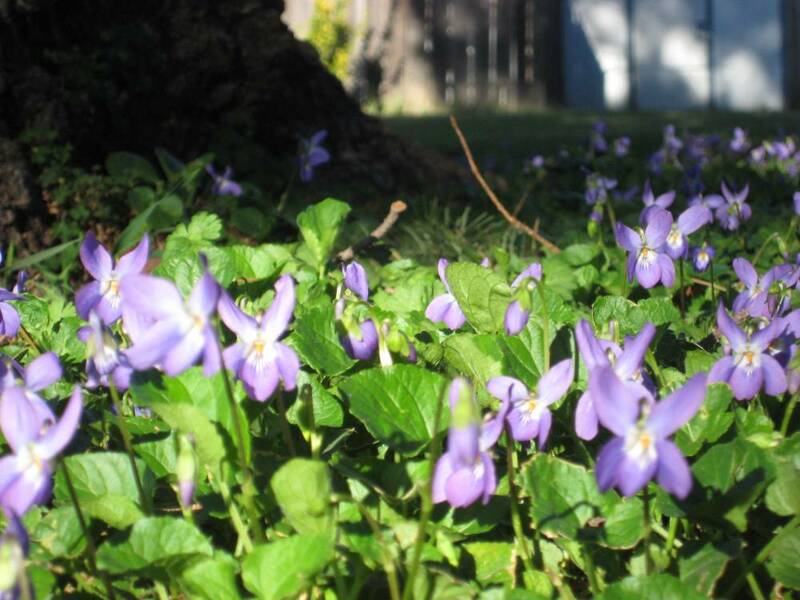 Coaxed out by the warm temperatures last week they were irresistibly. I had to photograph them. 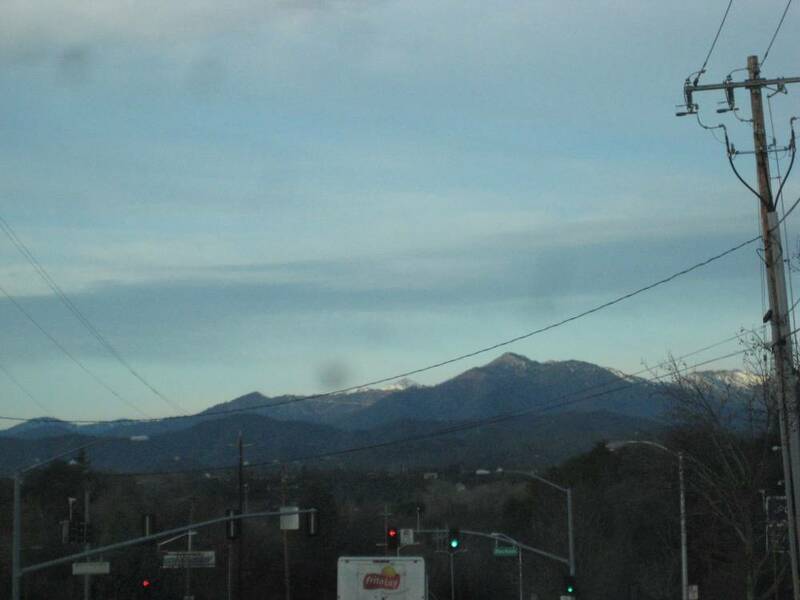 It looks like the frosty weather is coming back. I see fog from the front window where I sit at the keyboard this early morning. 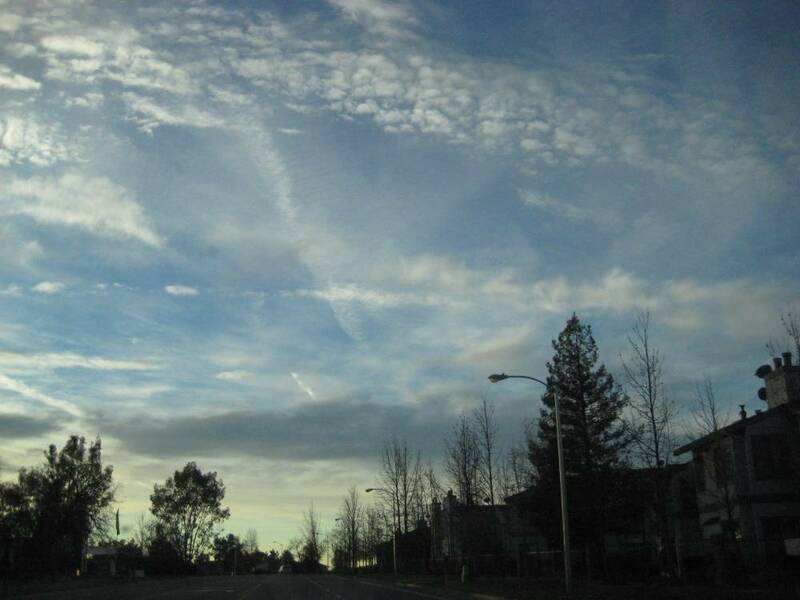 Will we have many more day of cool weather or will we have and early spring that slams straight into summer weather? It’s a safe bet that no one can predict. 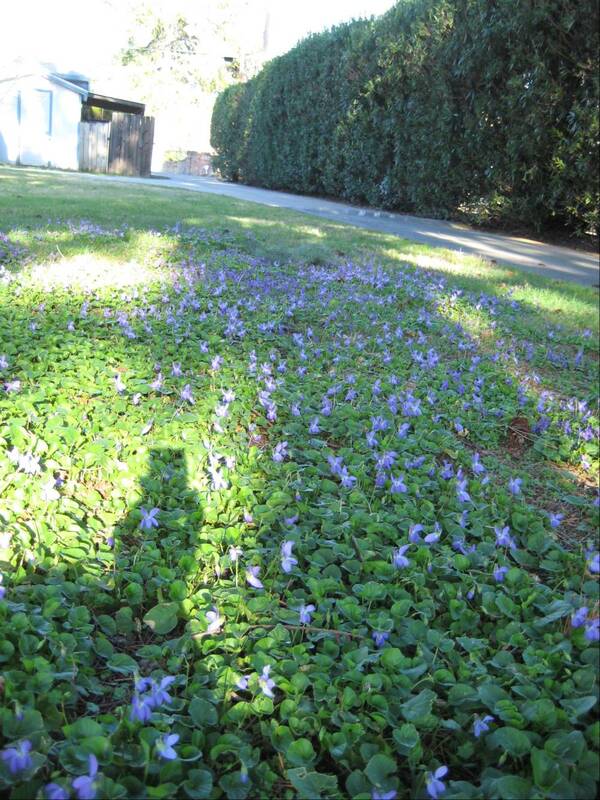 Frank sometimes picks a few of these little flowers and leaves them for me to find. ♥ He is so fine a man. 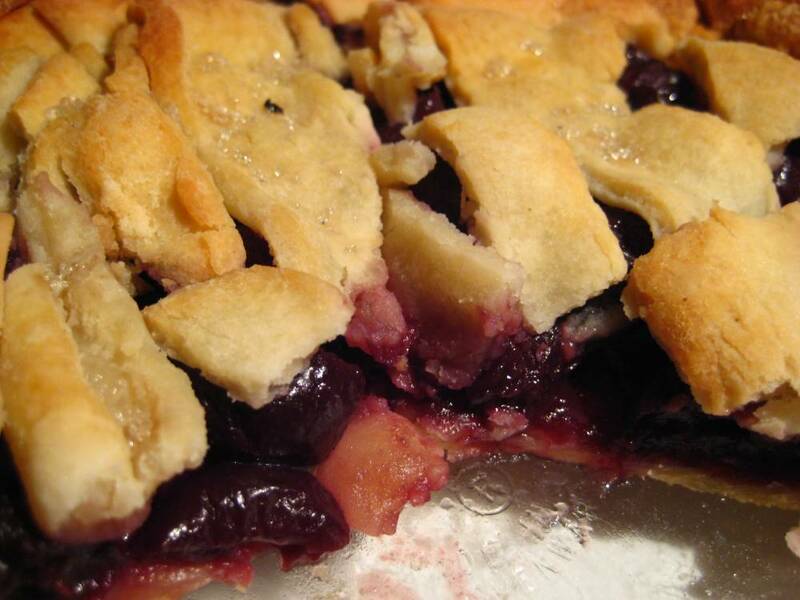 After dinner I had a desire for pie. 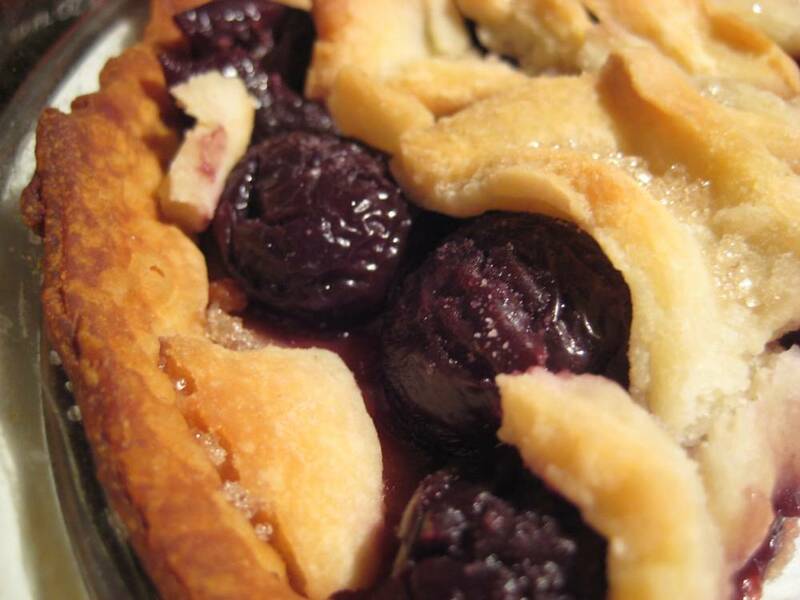 I laid a can full of sweet soft Oregon cherries into a plain, not to greasy pie crust from Immaculate Baking Company and popped it into the oven. Very plain and very delicious. Check out that Immaculate link. They are the coolest. They make good wholesome treats and they support folk art! Frank is back in school so I’m on the road again in the morning hours. I really need to allow myself some photo-adventuring that isn’t attached to errand running. It might be easier now that the Park Marina Drive underpass is once again open. It’s been nearly four years! I’ll surely wander down there soon with camera in hand. 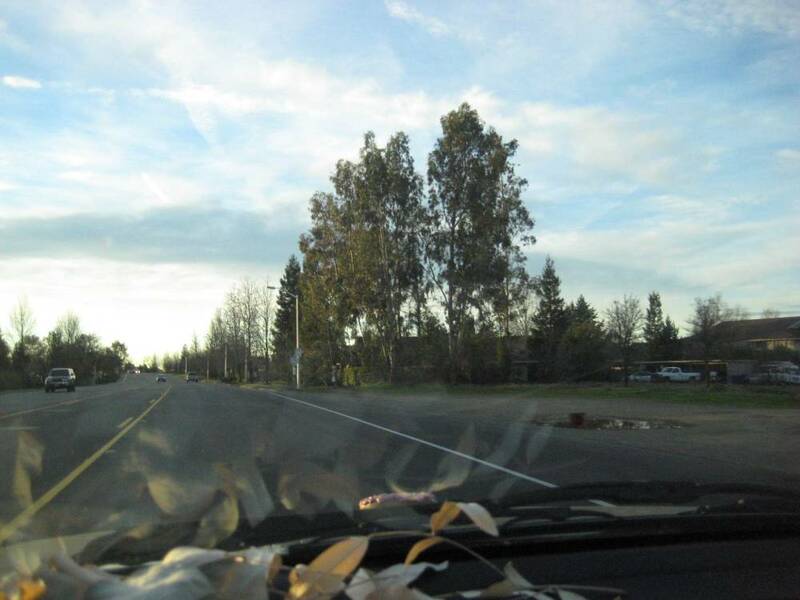 Until then you’ll have to be amused by my road shots. 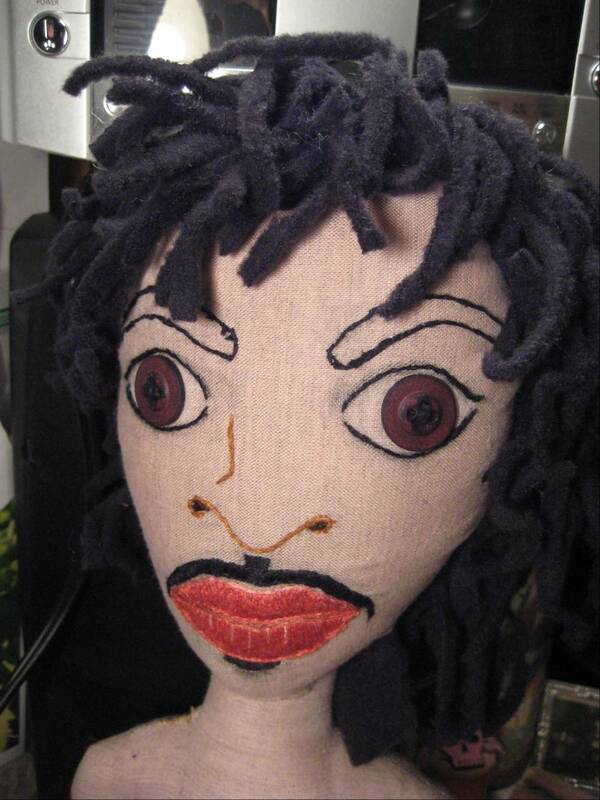 This morning Prince gets a last-minute improvement. 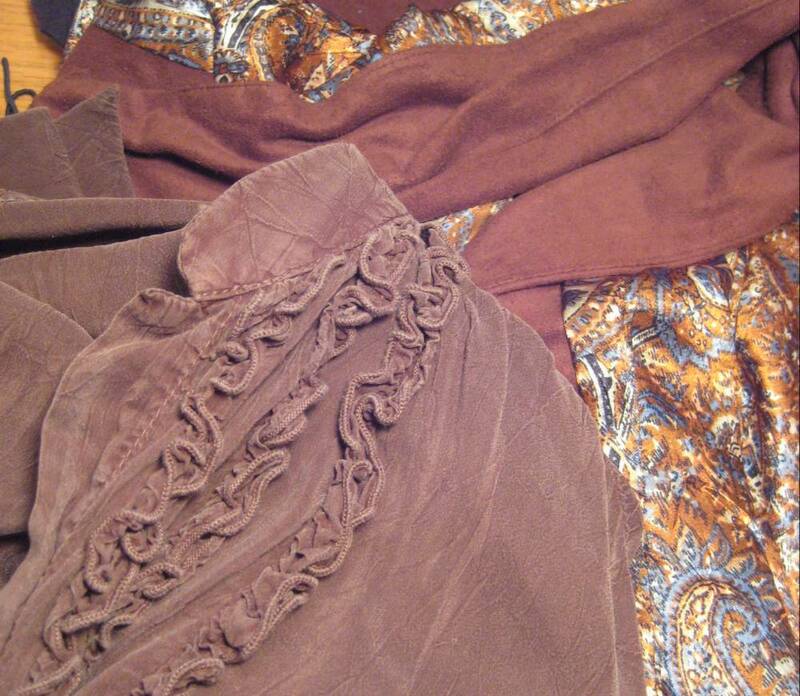 I had stitched a brown ruffled shirt to go under a faux suede, thigh-length vest but it was just too much brown and not enough pop. He’ll be in the mail today but first he needs a new top. 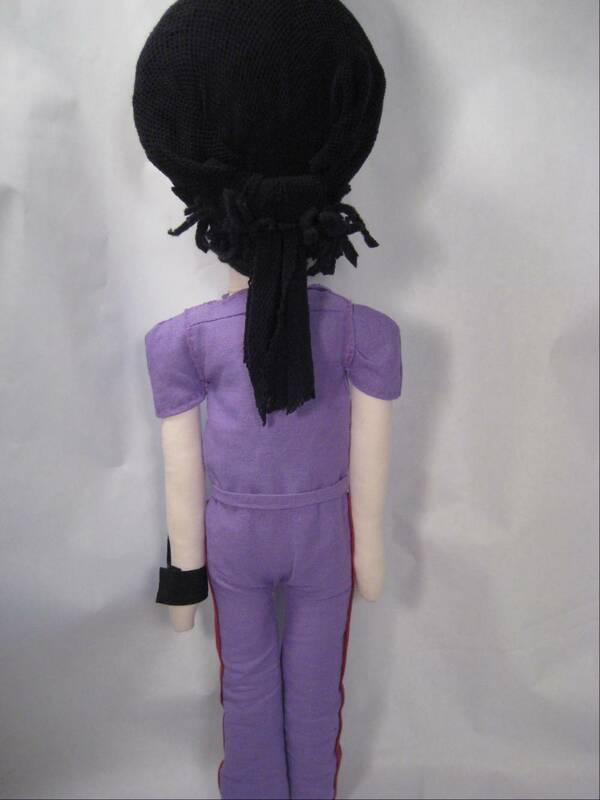 Prince 1 was shirtless early this morning when I did this mini photo shoot. 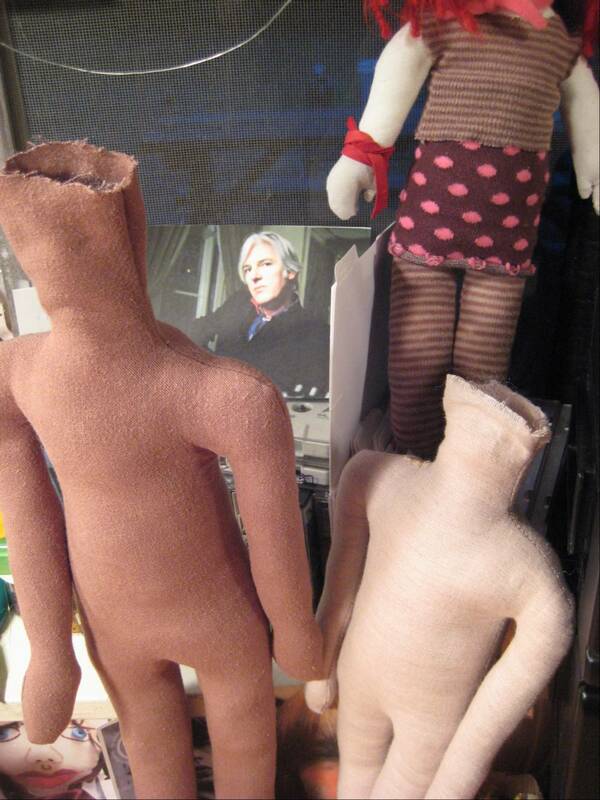 You can see Robyn Hitchcock in another photo, looking out at us, waiting so patiently to be made into a Soft Boy doll. He’s looking pretty fierce with those big eyes! I like the tousled locks of black hair. His mustache is a little dark, not the fade shade in the pix but I could not find any dark gray embroidery thread at the JoAnn store. I could have looked on-line but it’s hard to judge color accurately and time is of the essence. 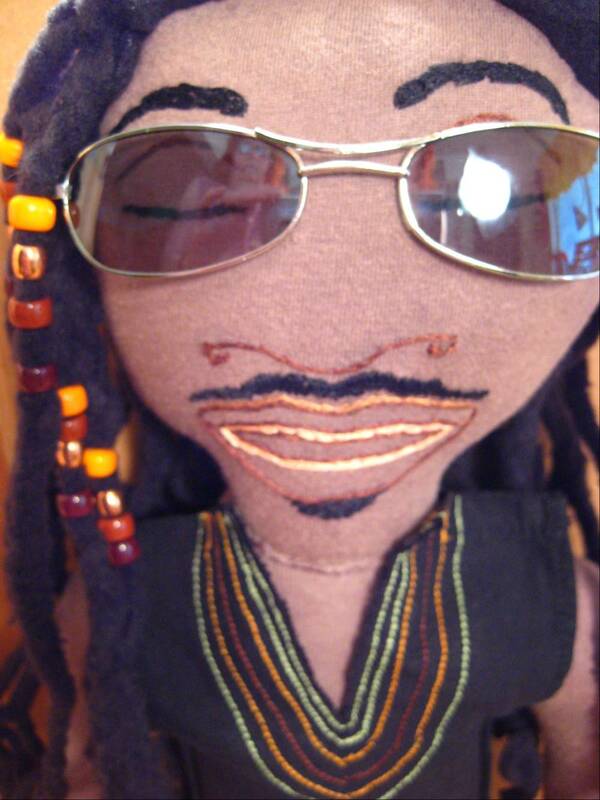 I have sunglasses for Prince, too. They are tinted a brownish color. That will cool the fierce just a little. Put some coy on the boy. 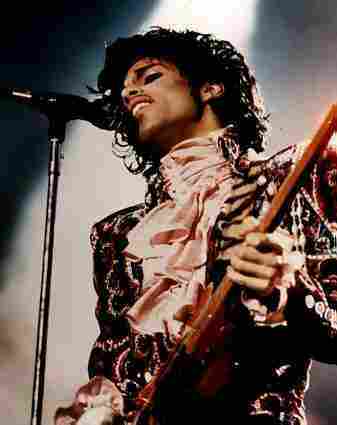 He’ll be rocking stripes and polka dots as only Prince can do. It will look fine. 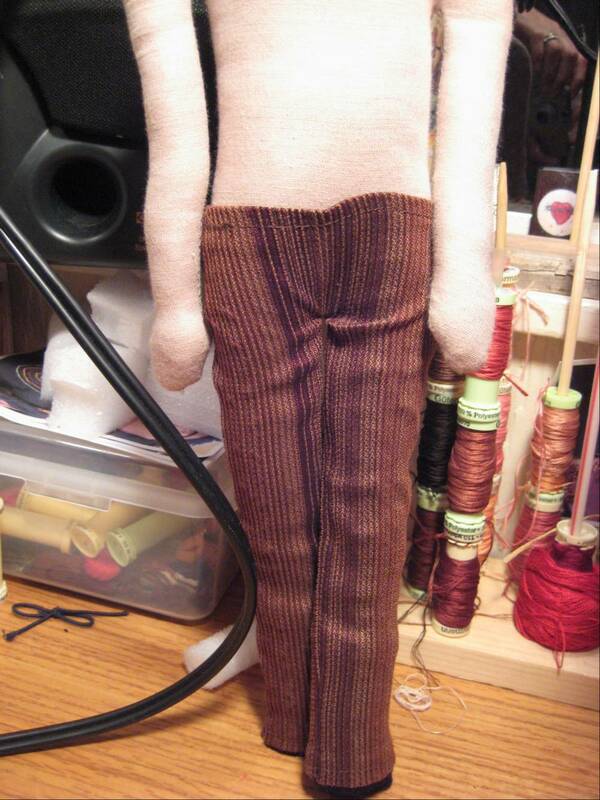 More pix later when he’s all put together. Off to stitch now so good day to you all. 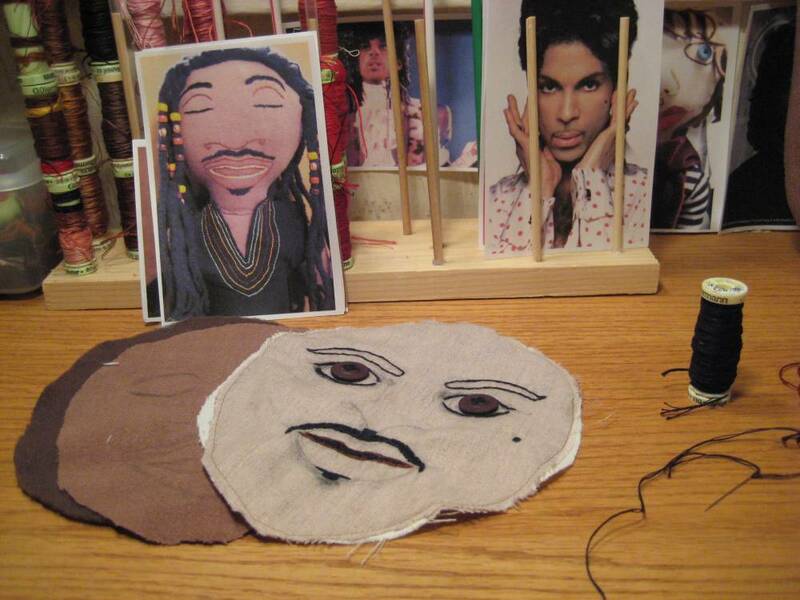 Busily stitching in all the details for Stevie Wonder 2 and Prince creates the illusion that the days are disappearing in a magical way. I look up at the calendar and see another week gone –whoosh — like wind through a window. Looking at Stevie photos I noticed his hairline sits back a way on his mighty forehead. I know he’s older but it has always been thus. 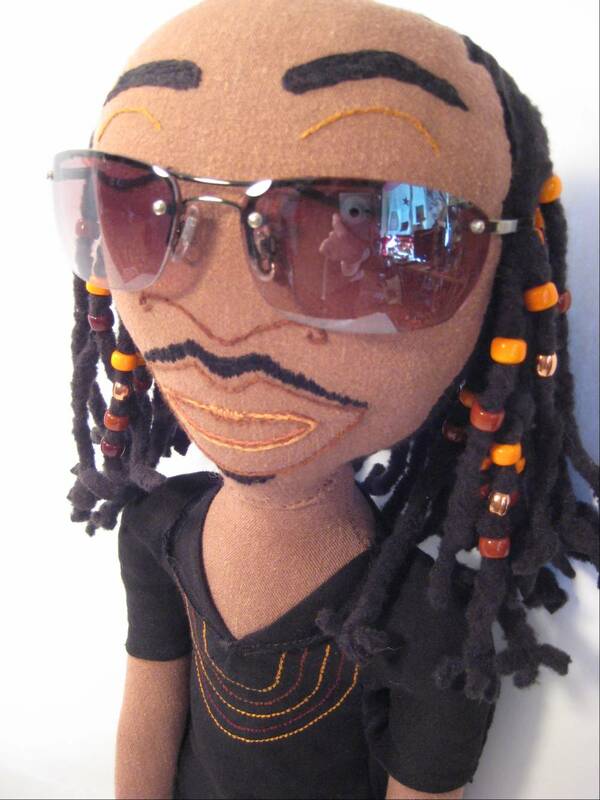 Stevie, where are your eyebrows? Under the big shades. 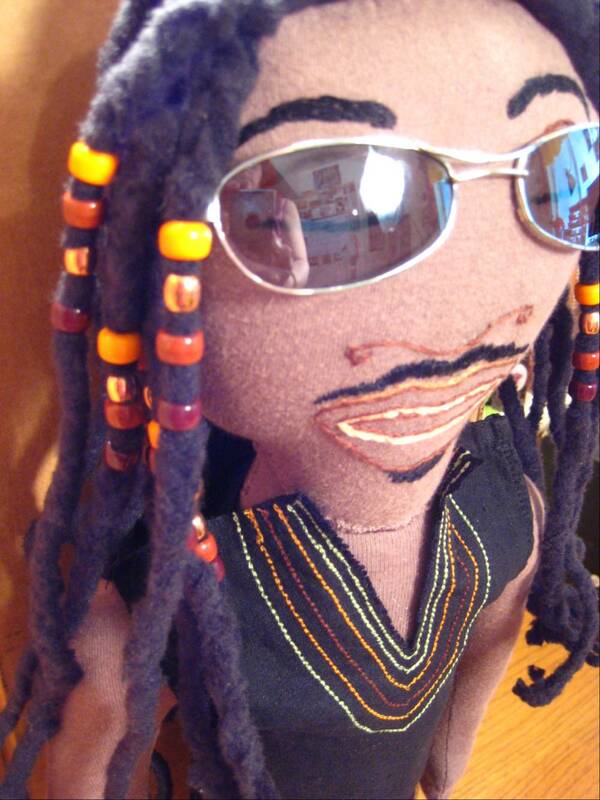 My first Stevie Wonder head had a plethora of beads but could hardly hold his head up under the weight. 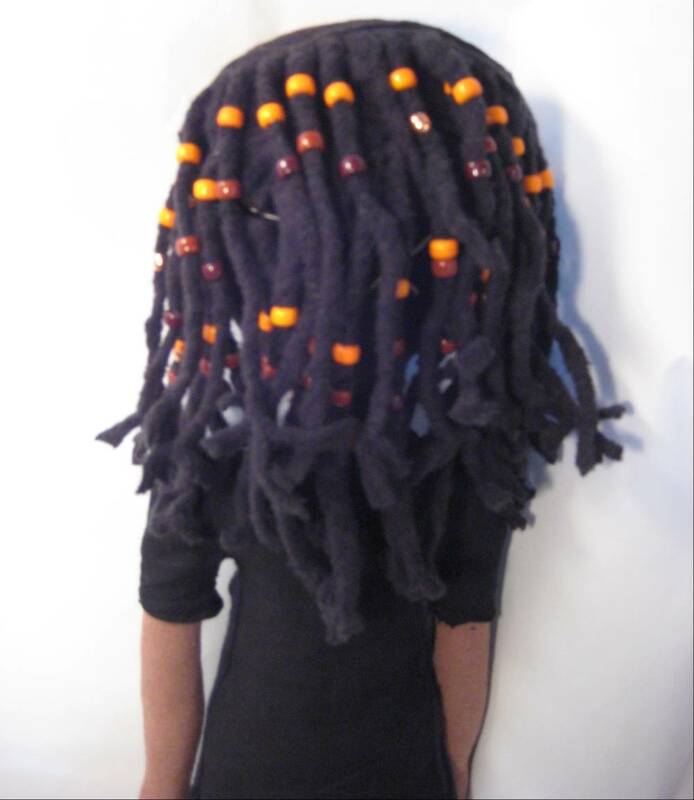 I had to alter the design — eliminate a few beads and cut the braids a bit shorter. All Soft Boys have a reinforced neck but why temp neck-bendy fate? Stevie 2 still has plenty of hair. I changed up the color of the stitching on the daishiki-esque shirt. We are used to seeing a much more elaborate bunch of designs and patterns on this African shirt popularized in the US in the late 60s. I wanted to use colors that matched the beads. 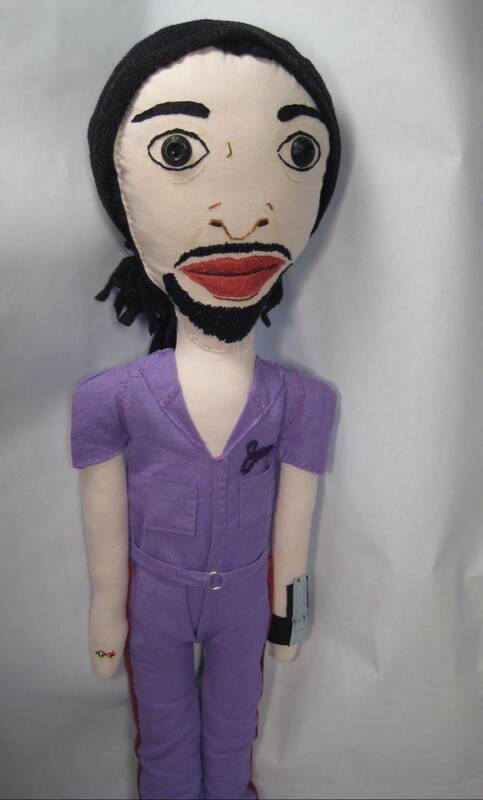 Prince goes in the mail tomorrow. I’m curling and cutting the hair, strand by strand. I’ve got rad material for the outfit. Better go get to work. It’s been a rough week or so. There was murder, death, exploitation, and as usual, the of balance of love, commitment and work. 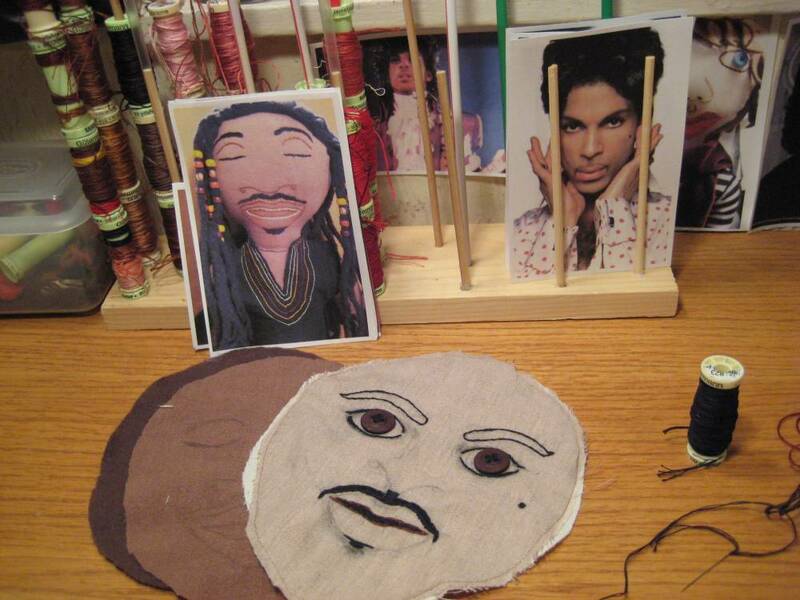 I’m embroidering faces, making heads for Stevie Wonder and Prince dolls. Another 8 hours today will get me there. 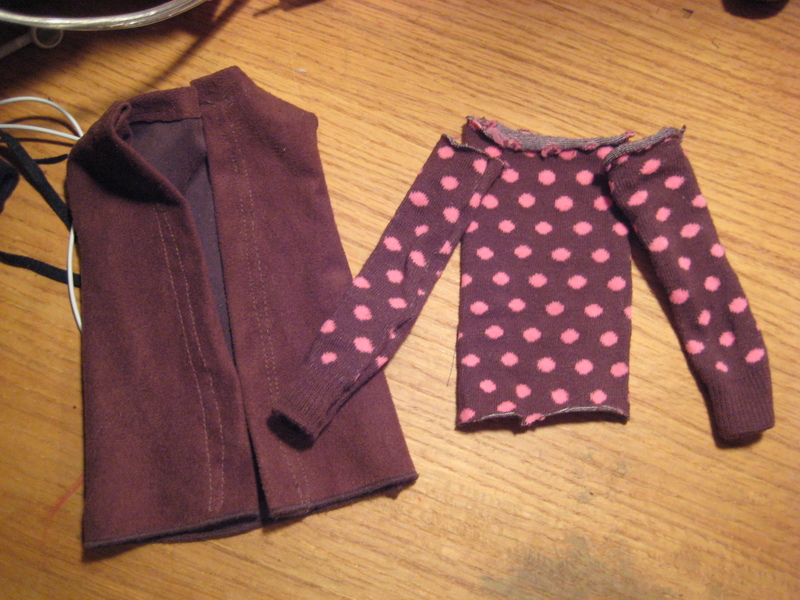 Then the clothes must be tailored. 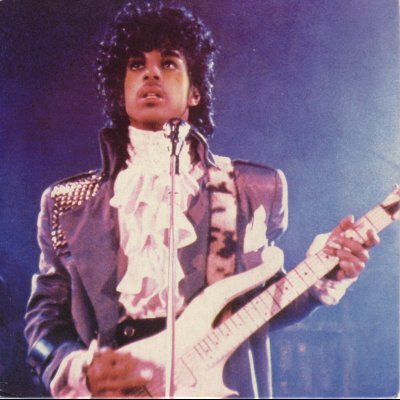 That will be fun and scary as I see Prince in a ruffled shirt. I received a lovely message from the Etsian who received Mick number 4. She was ecstatic. Her words of praise raised my joy level, high! Rock on, Mick and Ellen. 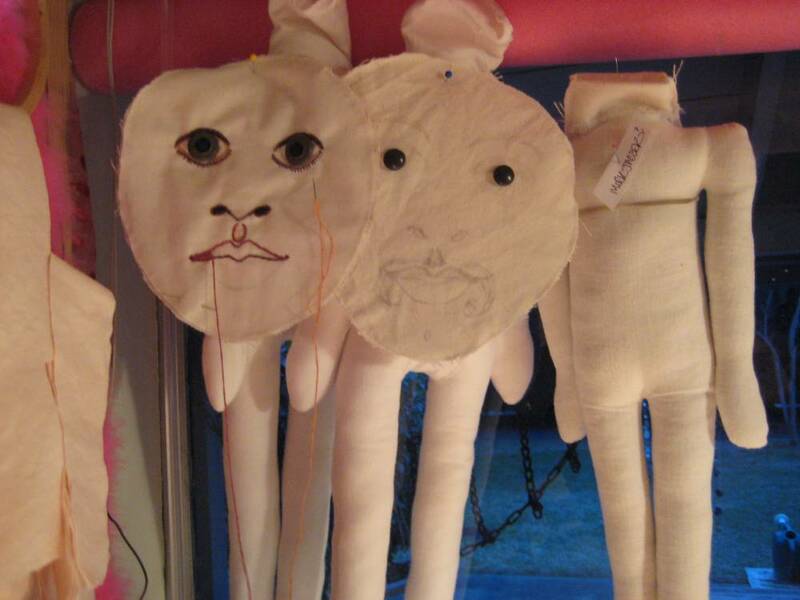 I’ve got dolls waiting to be made. My daughter won’t have her Christmas gift until her birthday. I’m learning about my work year and I think I’ll have to start family handmades in July next time! I lucked out finding the perfect color for the jump suit. Stitching a tiny little jumpsuit wasn’t as hairy as I had feared it might be. 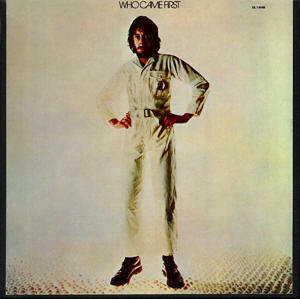 That means i can do a Woodstock-era Pete Townshend in his white jump suit! 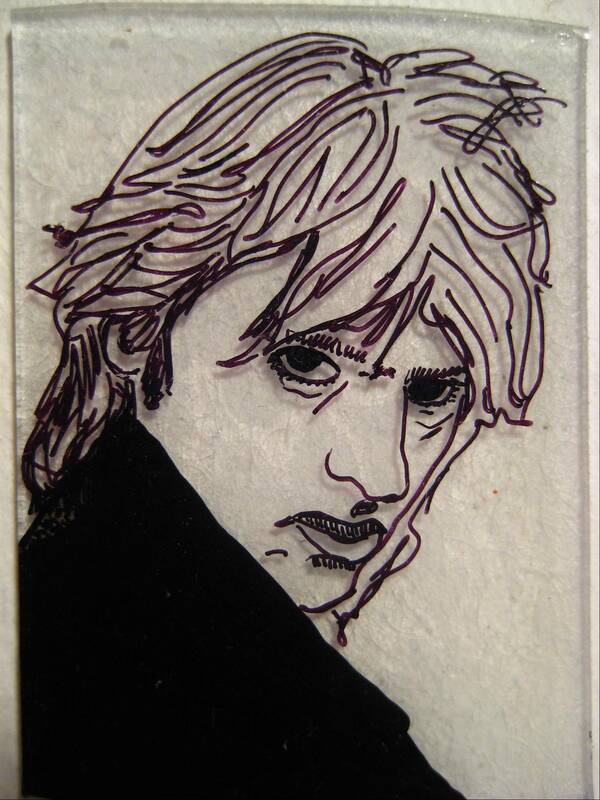 Those in the know understand how easily I could be persuaded to memorialize Mr. Townshend’s fine look. 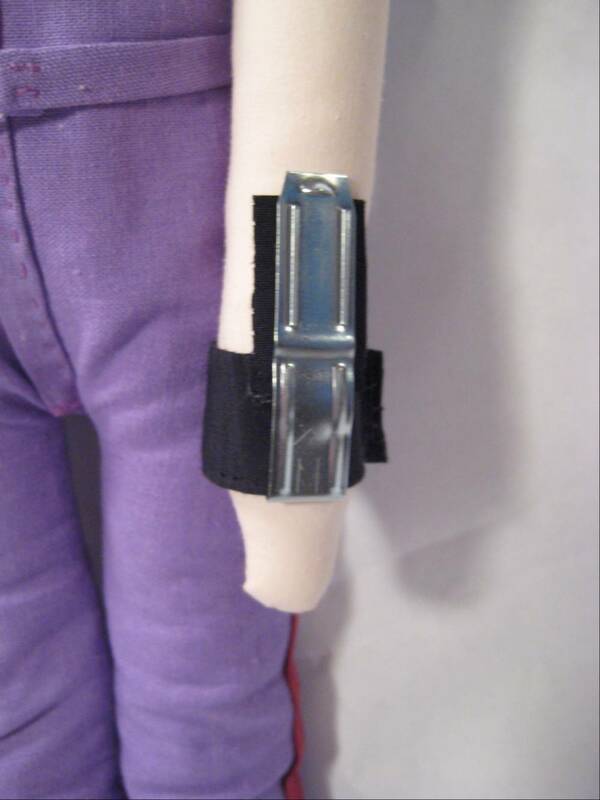 I wanted to do Quintana’s wrist brace and it came out pretty nicely. I hand a pair of small fishnet stocking that served as the hairnet. I had one pair of strange little brown buttons that were perfect for the eyes. Thank you, creative forces for the gifts. I wanted to do bowling shoes but, sadly, a cobbler I am not. 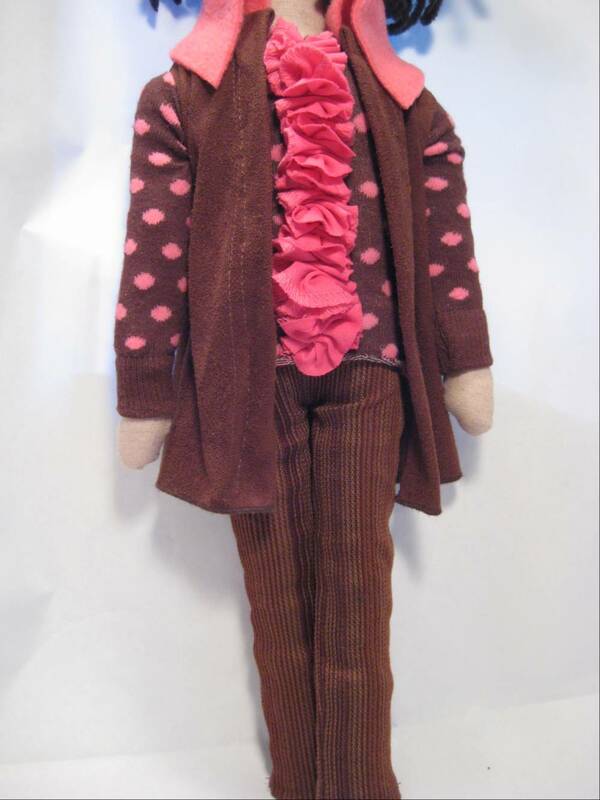 This doll will travel to New Jersey. If you want one. Let me know. Convo me at Etsy. 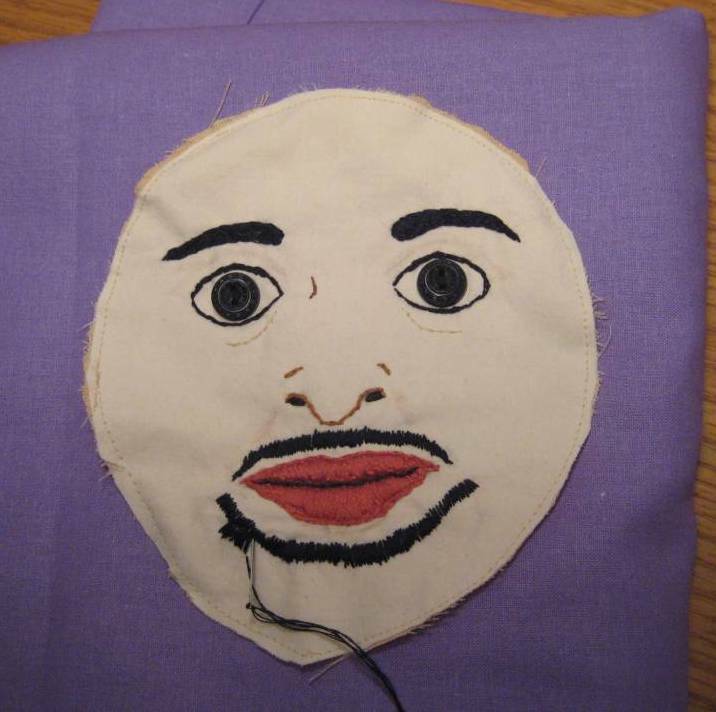 I am knee-deep in the pleasure of stitching Jesus Quintana. 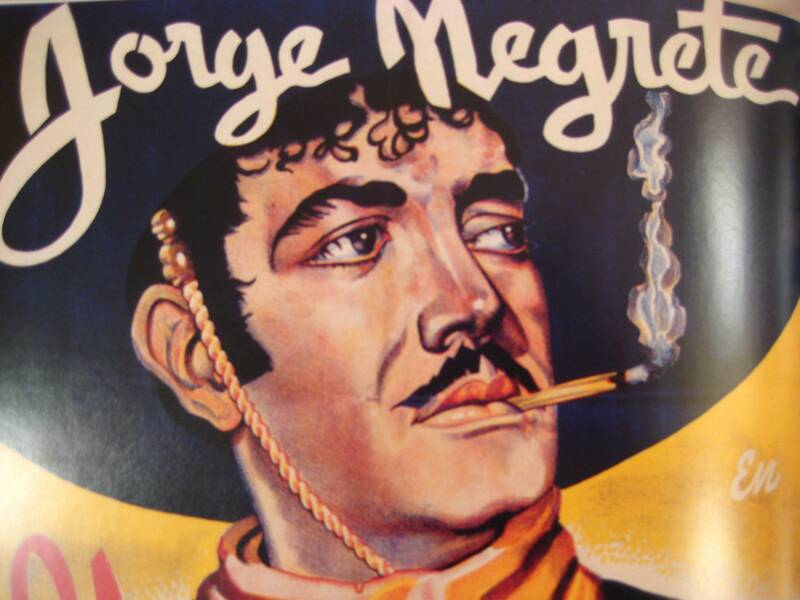 Jorge Negrete is watching over the proceedings. 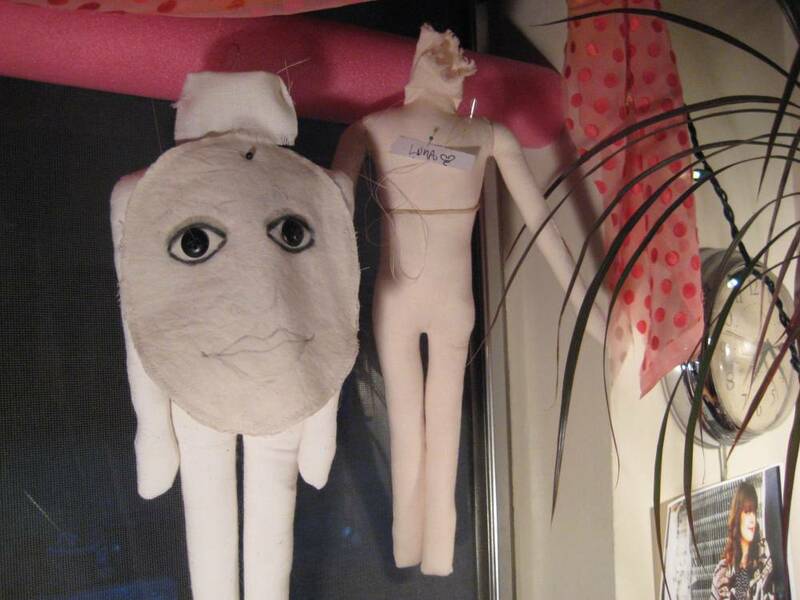 The face will be thinner when it is joined with the back of the head. 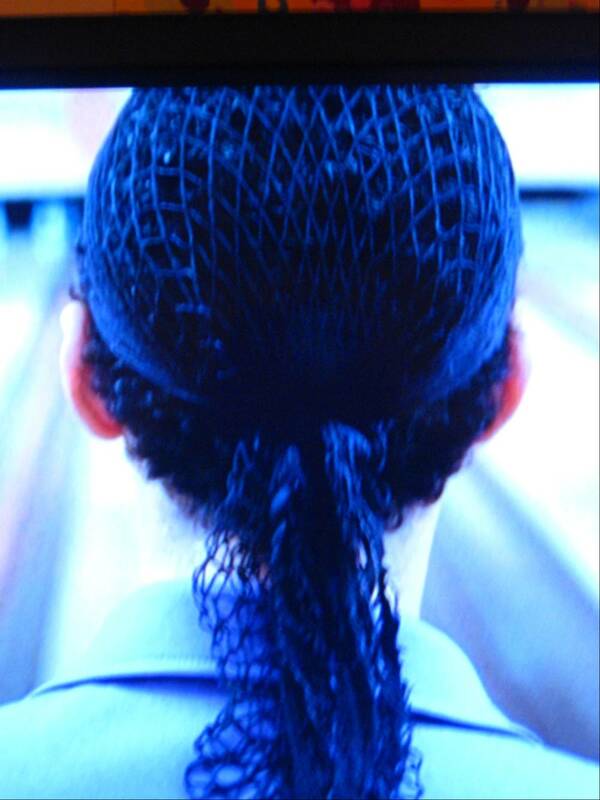 The hair, curly and black, will look great under the black fish net/hair net I’ve got ready to go. 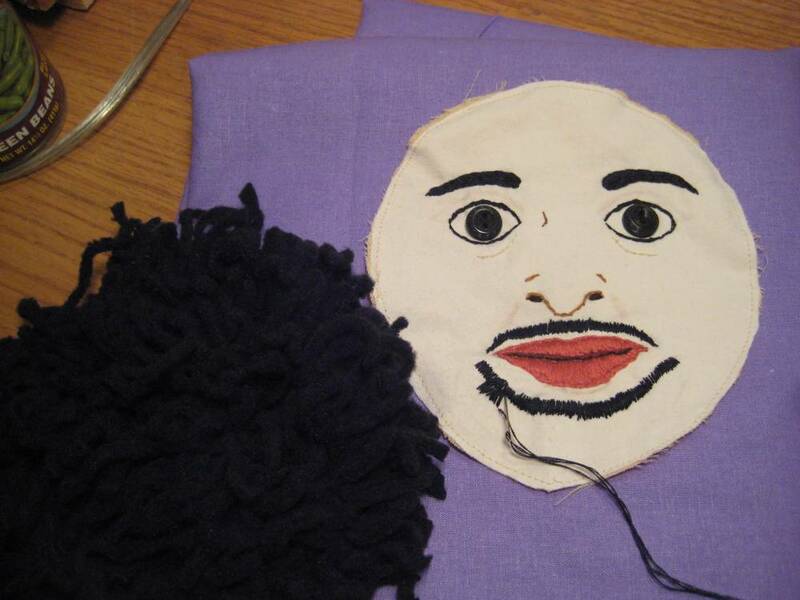 My face needs a couple more layers of black embroidery stitches. It’s a delicate operation and takes mucho tiempo, esse. 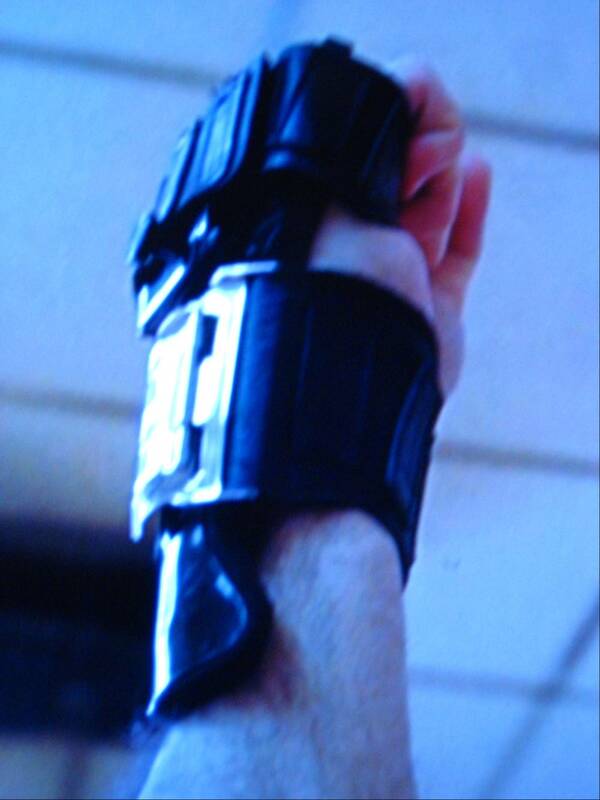 I’m dedicated to the task, la lucha, por las munecas. 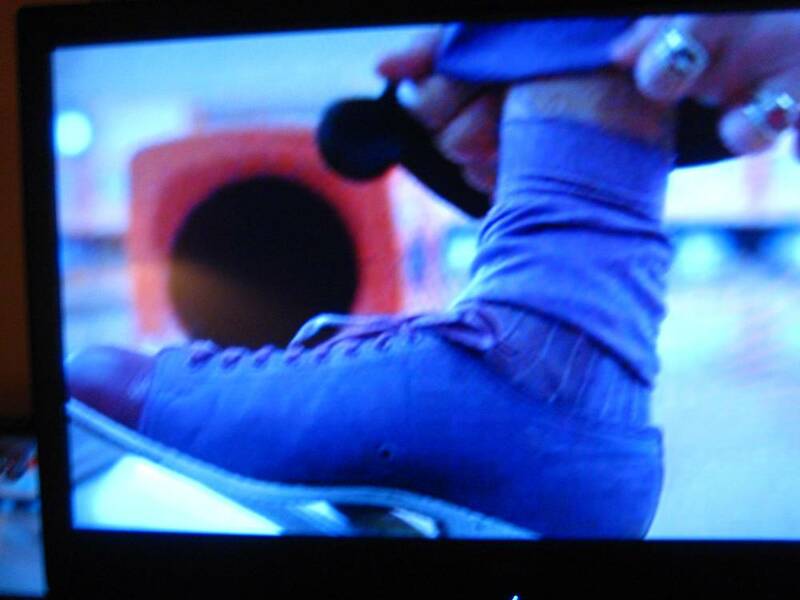 I revisited the splendor of The Big Lebowski and snapped some shots off the big screen to use as examples for the work. 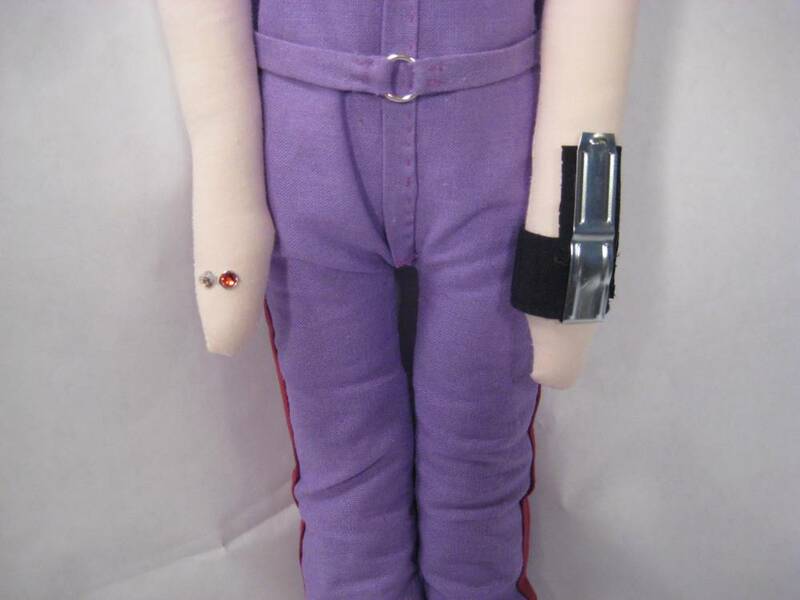 I may be crazy but I want to try to recreate the wrist brace, too. I may run out of time. 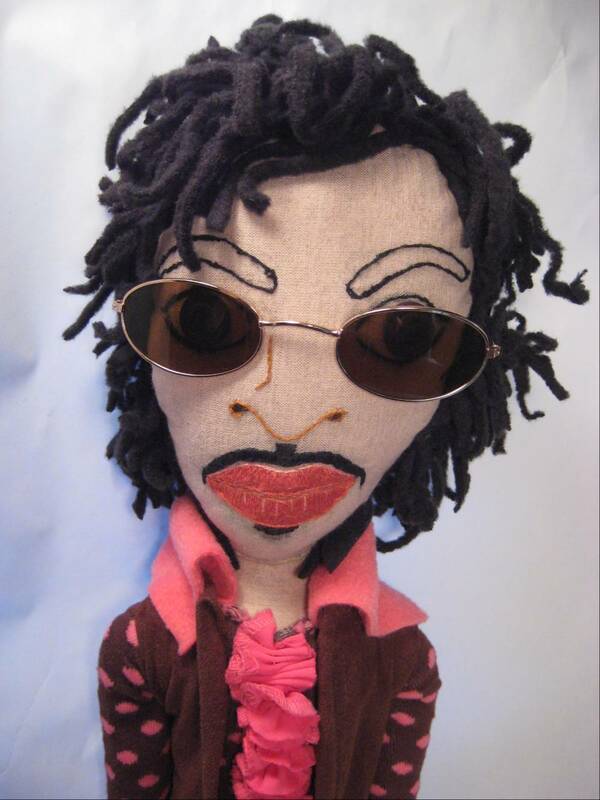 I’ve got Stevie Wonder and Prince bodies waiting in the wings to receive their heads. I hadn’t seen the Coen bros film in a long time. It is a gas. Thank you, all you Soft Boy fans!!!!! 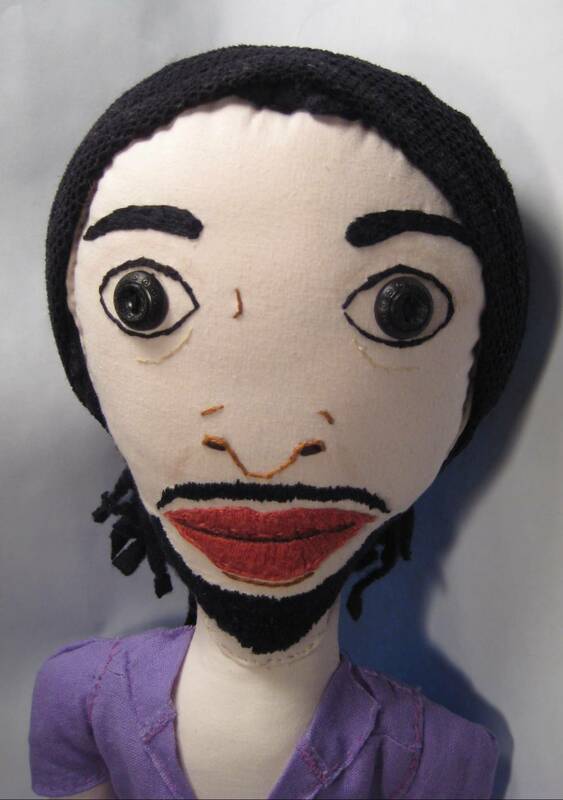 You have given my New Year’s resolution — to concentrate more fully on my dolls — a quick ride toward success. 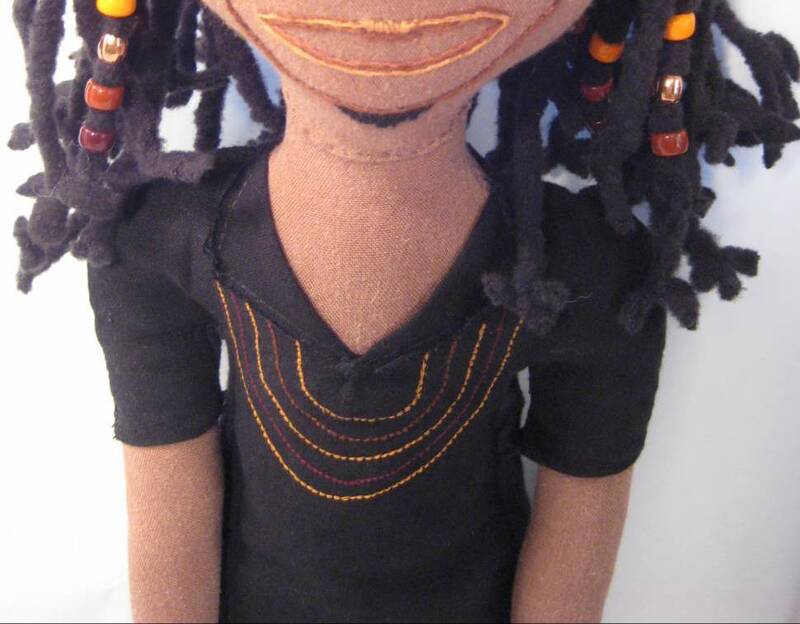 I will be creating these dolls in January. Crazy, funky, cool. 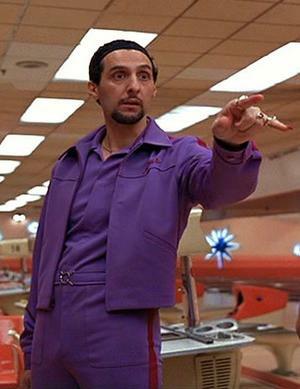 Jesus Quintana from The Big Lebowski! 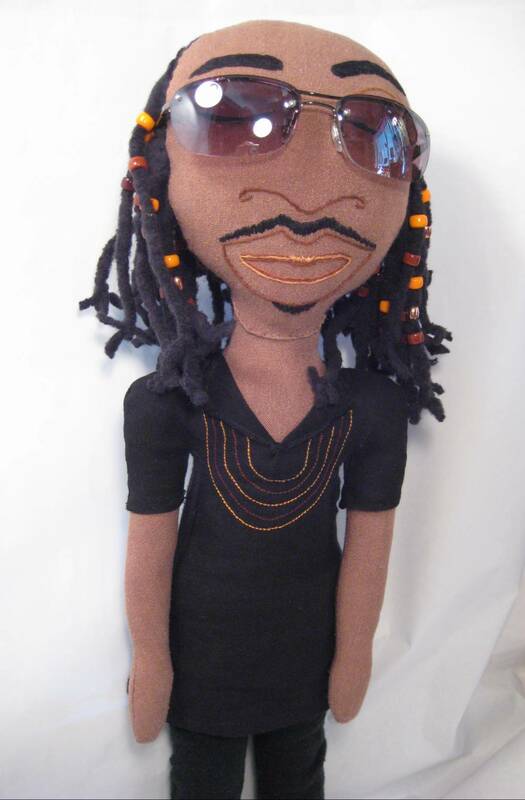 Stevie Wonder number two. 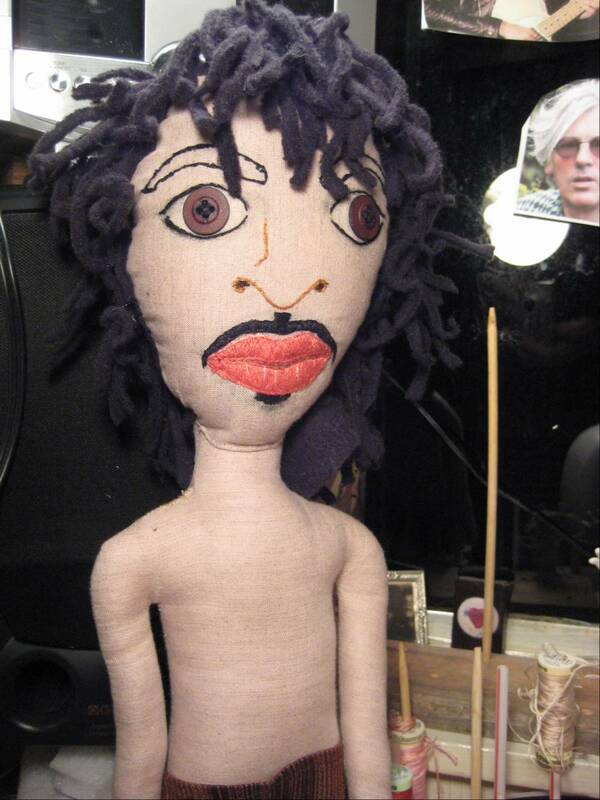 One of my favorite musicians and favorite dolls. 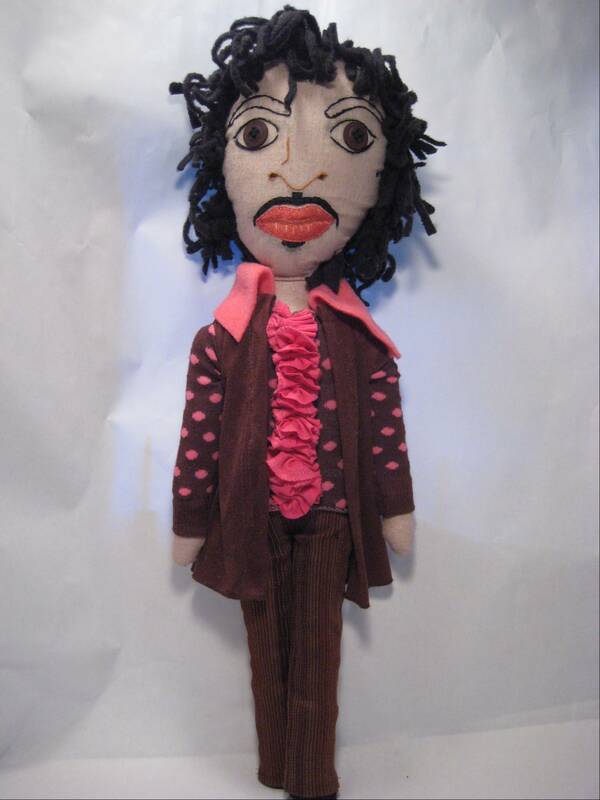 And Prince! Very cool! This is the work I truly love. Robyn, I’m going to get to you soon.